Welcome to Dr. Darlington’s office. Our office was established in 1991 and we are located in beautiful Flagstaff, Arizona. Our top priority is to provide quality and affordable dental care to our patients, giving you the best smile possible. Our courteous staff is always available to help answer any questions. Recognizing that every patient has different needs, we do whatever it takes to meet them. We treat our patients as we would want them to treat us. Your dental health is our #1 concern. We are providers for many insurance companies. Call the office to see if your company is one of them. 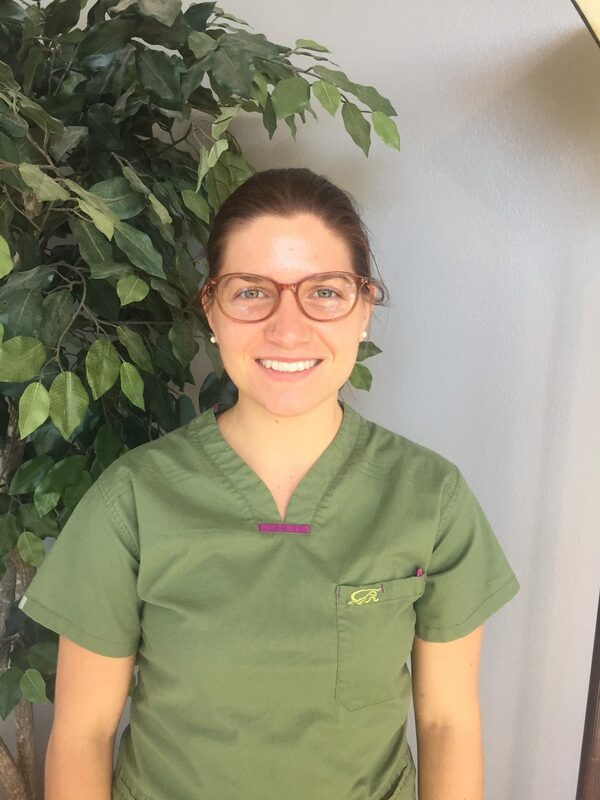 Our fabulous staff is waiting to help you have a beautiful smile! Jen has been our front office manager for over fifteen years. 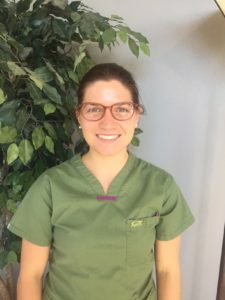 She’s an expert at scheduling, explaining treatment plans and billing, helping you navigate your insurance claims, and making you feel comfortable. She’s also the friendliest gal you’ll meet. Dental assistants, Kyria, and Emily assure you are comfortable and at-ease in the chair. Their expertise helps your visit go smoothly and quickly. Dr. Darlington provides excellent dental care including in-office implants, crowns, bridges, root canals, fillings, veneers, extractions, Invisalign, and regular maintenance. He regularly attends professional development and continuing education classes to stay current on all the latest procedures and products. 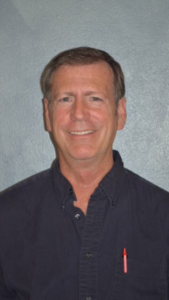 Dr. Scott A. Darlington graduated from the University of Utah in 1986 with a BS in Psychology. He then attended Creighton University in Omaha, NE where he received his DDS degree. 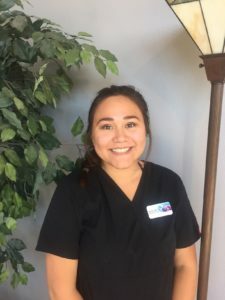 He loves to help his patients have a beautiful smile. Dr. D enjoys spending time at Lake Powell with his family, as well as cooking, and building things. He’s involved in the Boy Scouts of America at his church, as well as on the Board of Directors of Canyon Movement Company. He has coached soccer and basketball in the community and has been a leader for his church’s (LDS) youth group. His grand-kids adore “Papa” when they come to visit. Jennifer Giurlanda (Office Manager) I was born and raised in Portland Maine. I graduated in 1993 from Portland High School. (One of the oldest high schools in the United States that is still operating today). I started working for Dr. Darlington in 2002 as a dental assistant and then in 2006 I became his office manager. I have been married for 17 years and have 2 children. I love baseball and my favorite team is the Boston RED SOX! 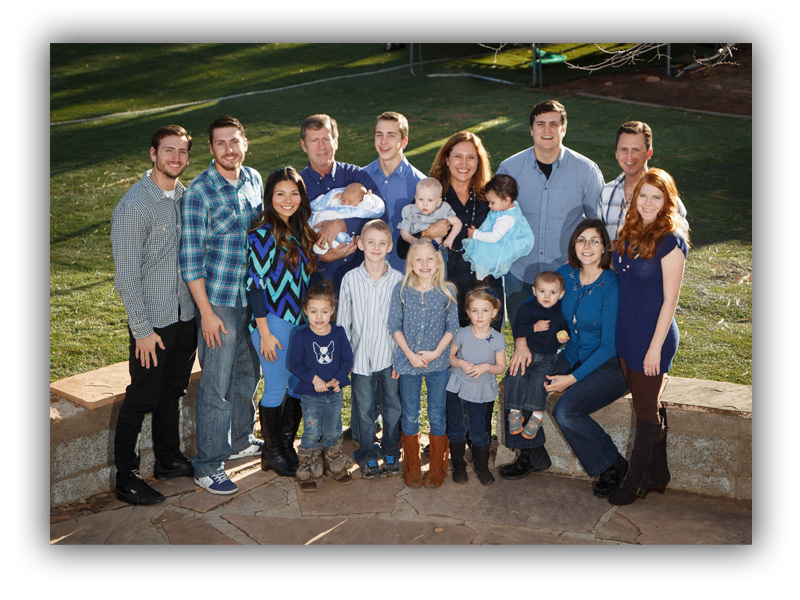 Dr. Darlington and his wife Gina raised five sons in Flagstaff. His family has expanded to include three daughters-in-law, and ten grandchildren. Family gatherings are crazy, chaotic, and great fun. How did we get everyone to be still for a family picture?